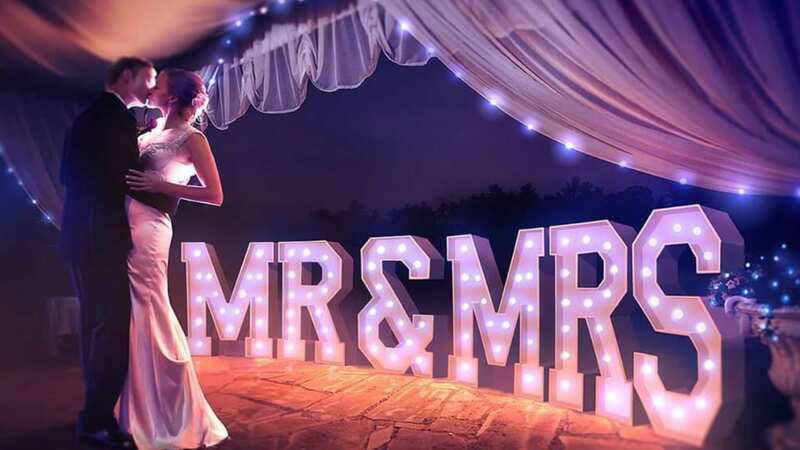 Our giant light up letters are 4 foot high and glossy white, they will give your venue the extra wow factor! We can provide you with any combination of letters from the Classic “LOVE” and “MR & MRS”. The letters feature in any room and make great props for any photos. they also compliment the dance floor perfectly. Our Letters can be hired on their own or in combination with a photo booth or/and a matching LED dance floor. Request a quote and we will quote you as low as we can.